A gripping tale of resilience, survival, and how we define the `other' - this is intelligent SF that speaks to our time. - Jennifer Mills, author of Dyschronia The Outside can be a dangerous place. But so can the inside. It’s been years since the original cataclysm, but life has been structured, peaceful, and most of all uneventful in the Pale. The humachine citizens welcome the order provided by their ruler, the baleful Regent. However, when one of their own rescues a human boy, Hector, from ravenous ferals on the Outside, their careful systems are turned upside down. 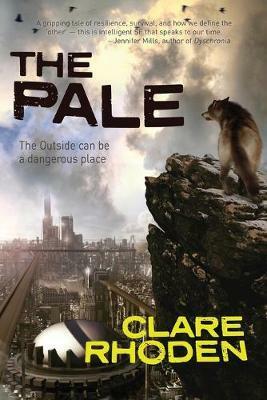 As Hector grows more and more human-strange, the citizens of the Pale grow uneasy. What will happen when the Outside tries to get in?